Earthwerks LVT & LVP Flooring really does take their inspiration straight from nature. Whether it's a hardwood plank look or a tile visual, these Luxury Vinyl floors mimic the beauty of real hardwood or tile while offering the strength and performance of a LVT or LVP. 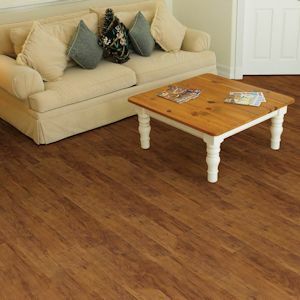 When you purchase Earthwerks Vinyl flooring, you're not just putting any flooring in your home. Earthwerks is one of the most durable vinyl floor covering in the marketplace today. They offer a top quality wear layer coated with several urethane coats which are then hardened with UV lights. Once hardened, these coats provide a protective shield against every day wear and tear. Add to that the Earthwerks "Tuff Shield," which is an added benefit on many of their LVT & LVP collections, and you ultimately get one of the best finishes in the industry. The Earthwerks Green4Life program is also a huge draw for consumers. 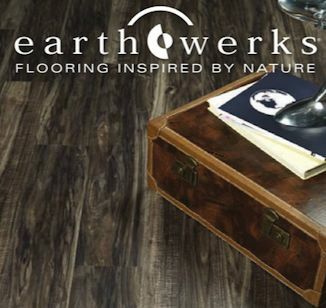 Earthwerks is set on making sure their carbon footprint is as small as possible, ensuring that every single one of their luxury vinyl tile and plank collections are recyclable and manufactured in energy efficient facilities with recycled content. Lastly, Earthwerks tests every single product they market to comply with the FloorScore IAQ program. This means that every Luxury Vinyl tile or plank from Earthwerks is certified for compliance with indoor air quality emission requirements. As far as design and installation goes, there's no beating Earthwerks diverse catalog of styles including easy to install options of either a glueless floating installation or direct gluing the flooring down. With Earthwerks diverse styles and colors, there really is a beautiful and functional LVT & LVP for any room of your home. Earthwerks LVT & LVP products are approved for installation over radiant heat systems. Make sure to follow the manufacturer's instructions during installation. 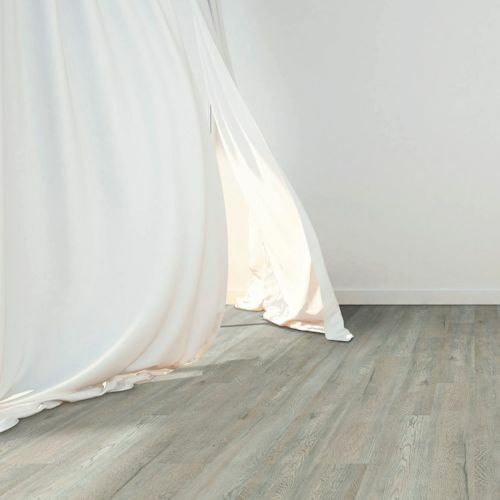 Choose from a selection of both wood plank visuals and tile visuals -- these luxury vinyl floors are waterproof and can be installed in virtually any room of the home and over existing hard surfaces! Install is a breeze -- just click the vinyl planks together and you're done. Vinyl planks are the new trend and look stunning in any setting; the fact that they are super durable AND waterproof is just icing on the cake. The Performance Collection features a variety of LVT and LVP glue down vinyl options in wood visuals as well as tile visuals. These collections of LVT and LVP feature the Earthwerks Premium Warranty -- a Lifetime Residential Warranty and a 30 Year Commercial Warranty. The Development Collection features affordable LVT and LVP options featuring a 20 to 30 Year Residential Warranty (10 to 20 Year Commercial Warranty). These glue down vinyl options would be a great and easy way to give a room in your home a whole new look without breaking the budget. Trendy colors like grey tones available -- but also traditional looks like stone tiles or natural woods.